The saying "People who cook can't bake" may be wrong for many of you, but it's definitely right for us. We tried out this foolproof recipe for a Matcha cake made in a rice cooker. It's easy, ingredients are accessible, and from the result of our Matcha cake, it's pretty darn delicious. PLUS: Minimal washing. You'll see! *We mistakenly made it with just 1 packet as shown in the video, but it turned out well and it might be why the cake was extremely springy and moist! Ingredients above will make a Matcha Cake - you'll get the full flavor of Matcha but it won't be sweet at all. Add the below if you wish to have it sweet. 2a. Add Sugar at this point if you wish. 3. Mix powder mixture in rice cooker pot until the colour of the mix looks even. 5. Add egg and milk mixture into rice cooker pot, stirring gently as you go. 6. Stir until lumps of powder are gone. 7. Set the pot in the rice cooker and cook on normal or White Rice mode. 8. 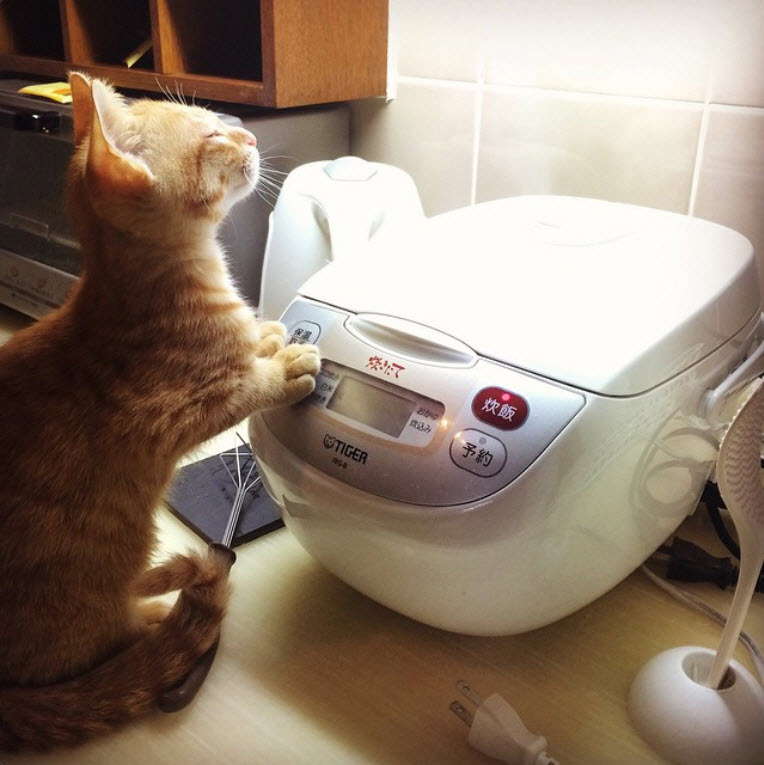 Once the rice cooker tells you it's done cooking, open the rice cooker and check: if the cake is still gooey/soupy, or if you stick a toothpick in and it doesn't come out clean, put it back in and cook it again. 9. Once it is done, remove the rice cooker pot, and place it upside down on a plate. And because it doesn't have any sugar, we could have this on its own for breakfast - the strong Matcha flavour comes through beautifully. When we want to have it as a sweet treat, we would have this with Chocolate syrup or Azuki red beans. Umai!! Try it and tag us on our Facebook or Instagram (@ZairyoSG) if you've tried it!